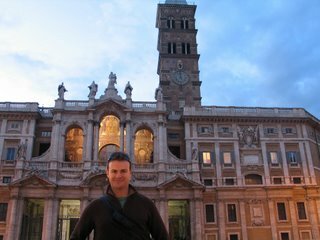 As frequent readers of my blog will know, I have just returned from a trip to Italy. I started planning this trip about eight weeks ago when airlines such as Ryan Air were advertising their huge November sales, and all I can say is that I am very very happy I did it. 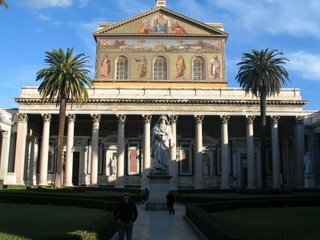 There are some beautiful places in Italy that are most certainly worth seeing, and the history of the place is just incredible. At first I was a little worried about traveling by myself, but after a night I was fine. Most of the people I met in the hostels were really really friendly, and made the time very memorable. Of course there were a few people that were very trying, however I guess you learn to live with that in shared accommodation. 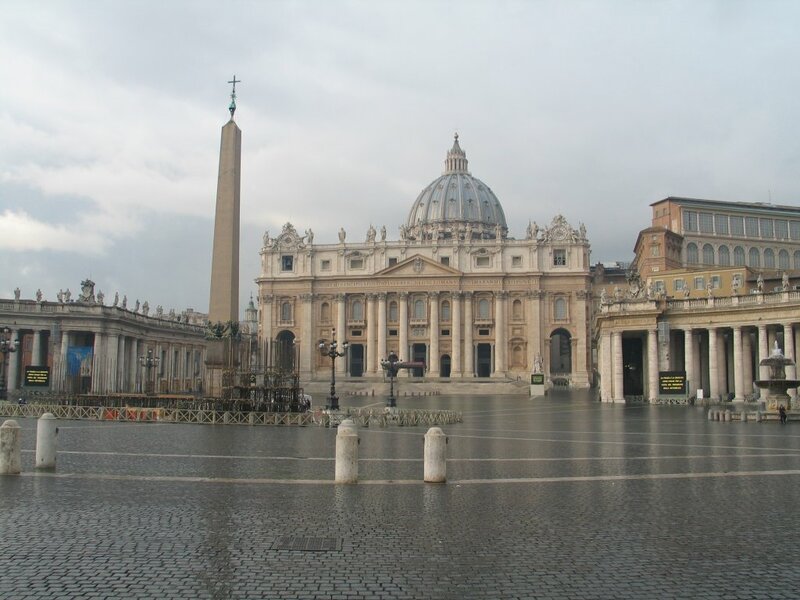 My Trip started on Sunday the 19th of November when I took off to Rome. 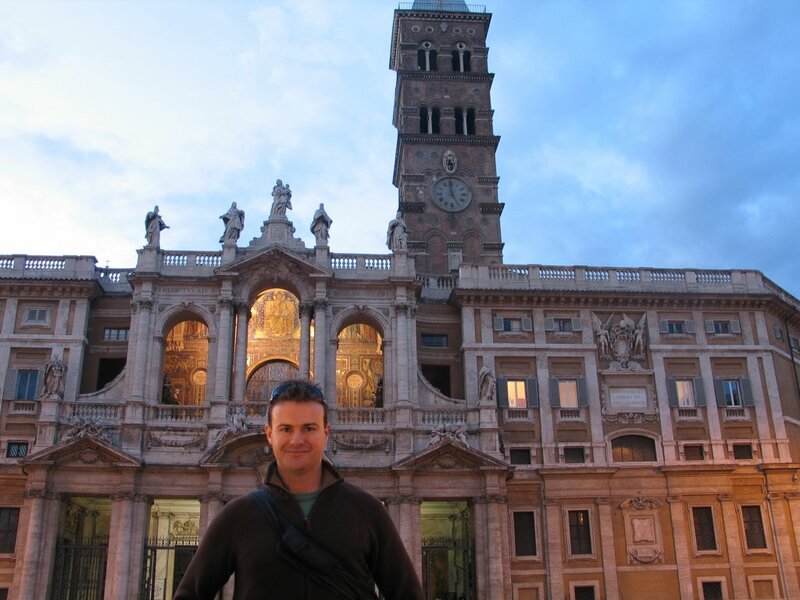 I had heard and read lots of stories about Rome, and I certainly was not disappointed. When I got to the Hostel I met my room mates who had also just checked in. I wasted no time, and I decided I would take a walk to see what I could find. 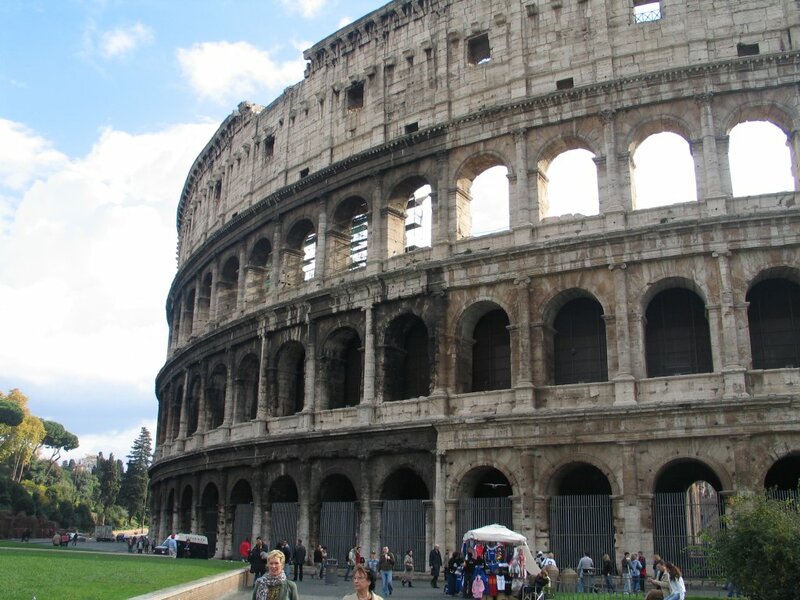 Firstly I came upon ancient Rome, The Colosseum, and the Roman Forum. These are truly wonderful sites. 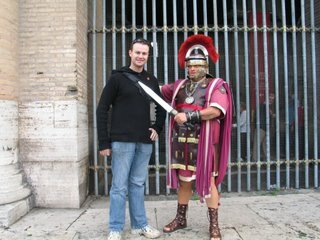 Then I walked through the crowded and hectic streets of Rome. MY GOD! All I can say is traffic. Cars driving way too fast, people just don’t care about the speed limit. Thousands of scooters driving in and out looking for a faster way! Crossing the road is a life threating exercise where ever you are, whether you are at lights or not. The green man means head down, don’t look at what’s coming, and hope to hell they stop! In my case the always did! The next 3 days were spent sightseeing with different people from the hostel. I was staying in a small hostel so most people socialised. Most people were traveling alone which meant it was very easy to meet people. I took so many photos in Rome! I look about 450 photos in total, and I was being very conservative with my camera. Here are just a few. On the first morning I headed to the Vatican City. 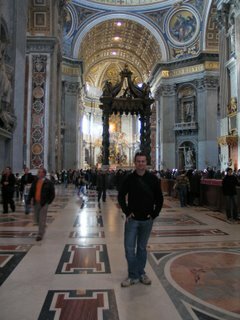 I thought I would tackle this first, only to find that St Peter’s Basilica was closed, and the line for the museum was about three hours! Arh damn had to rethink the strategy! Next I headed for a walk past the Vittorio Emanuele II Monument. This building is massive, and I almost got killed walking across the crossing in this picture. Crazy drivers! Then it was off for a tour of the Colosseum. Initially I didn’t consider a guided tour, but I forked out the extra cash and it was well worth it. Actually found a toilet in here as well!!! Not so many public facilities in Rome. 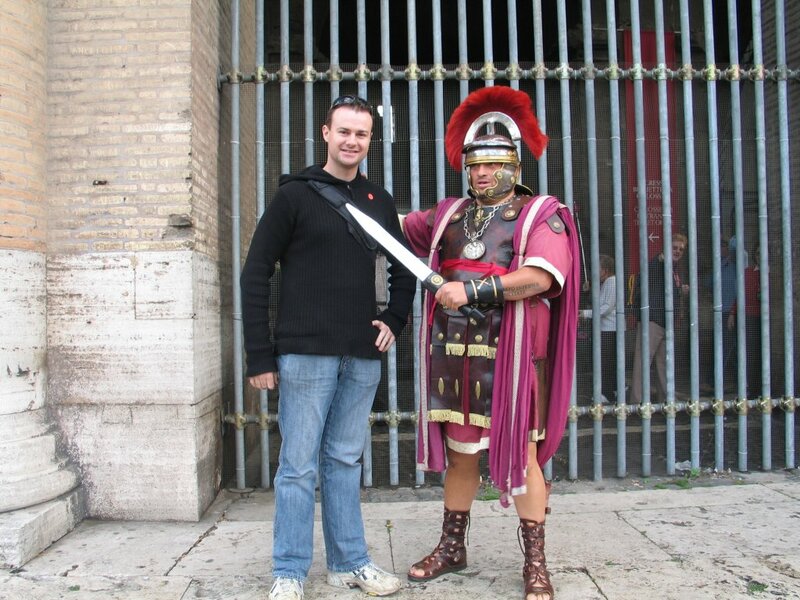 Because I took the tour, it entitled me to a photo with this guy. I am pretty lucky I survived. If his sword wasn’t plastic I think he would have killed me. 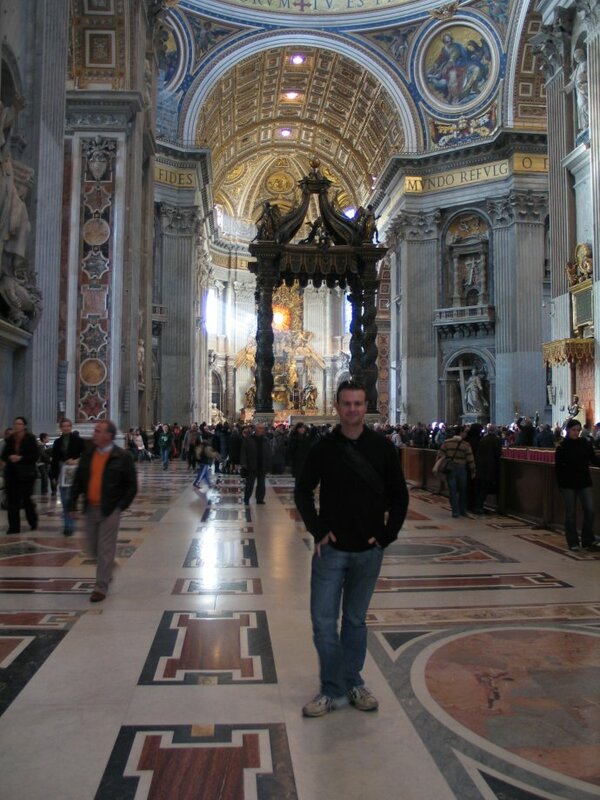 A picture of me inside the building. 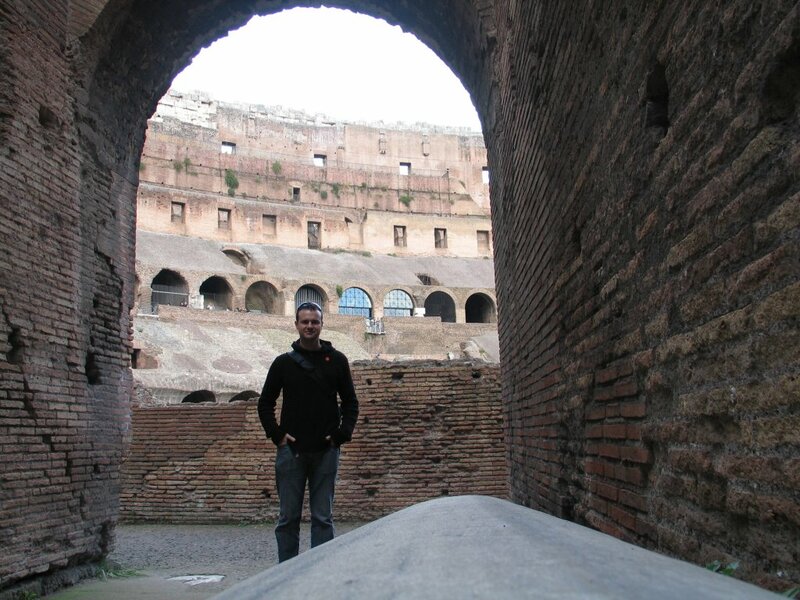 I was shocked to learn that some 1 MILLION people got killed in this arena for entertainment! Completely barbaric! After the tour of the Colosseum, I then took my free tour of Palatine Hill, and this provided the best view of the Roman Forum pictured here. 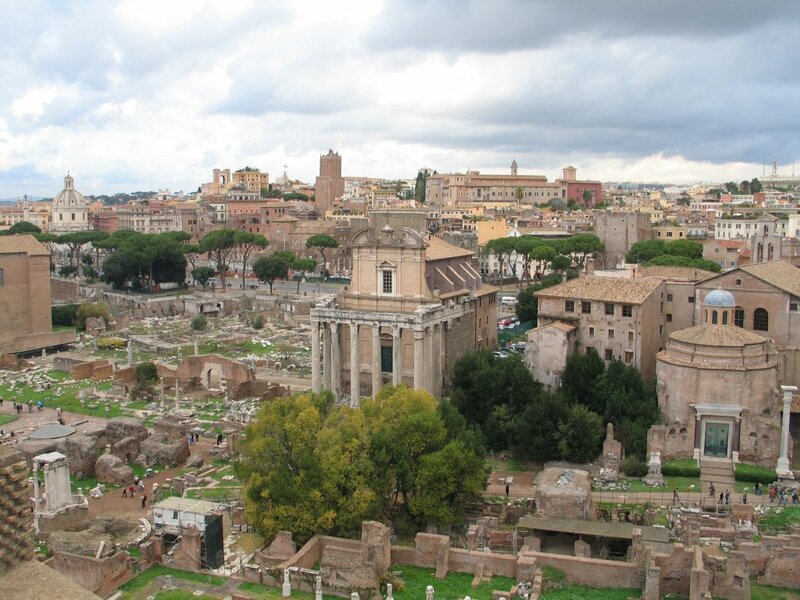 This was where the Roman Administration worked. Unfortunately it was pretty much destroyed by the Church. The buildings they couldn’t knock down got converted. 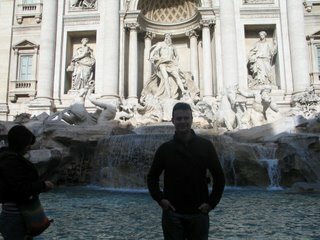 Next Day started with a trip to Trevi Fountain. 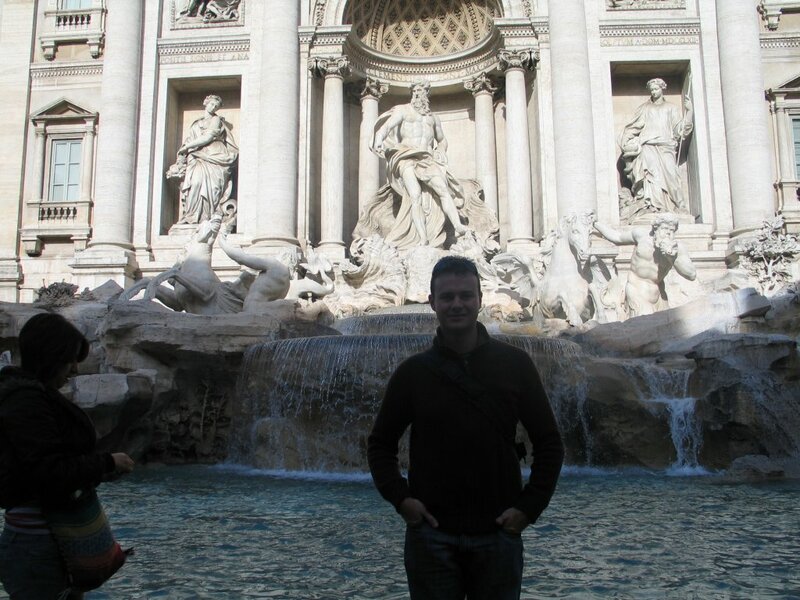 I threw the coin in over my shoulder, so now I am sure to return to Rome. 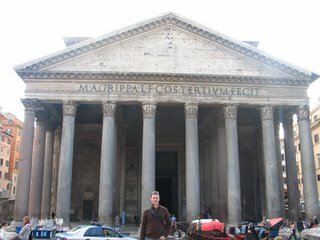 Then it was off to the Pantheon. From memory I think it was built around 32BC. Now that’s old. 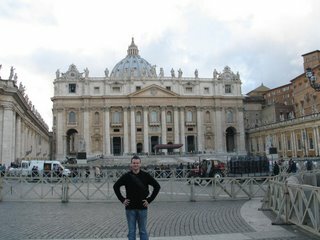 After a few more stops Richard (a roomie from the Hostel, or should I say POM, no he wasn’t so worried about being called a POM) and myself headed outside the city walls to St Paul’s Basilica. It was a long way but well worth it. 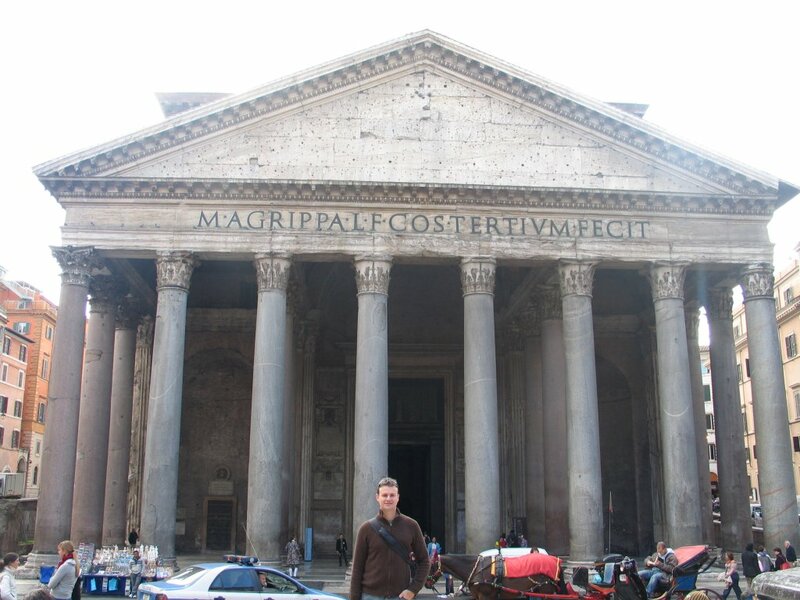 This building was huge and had some 131 massive columns. 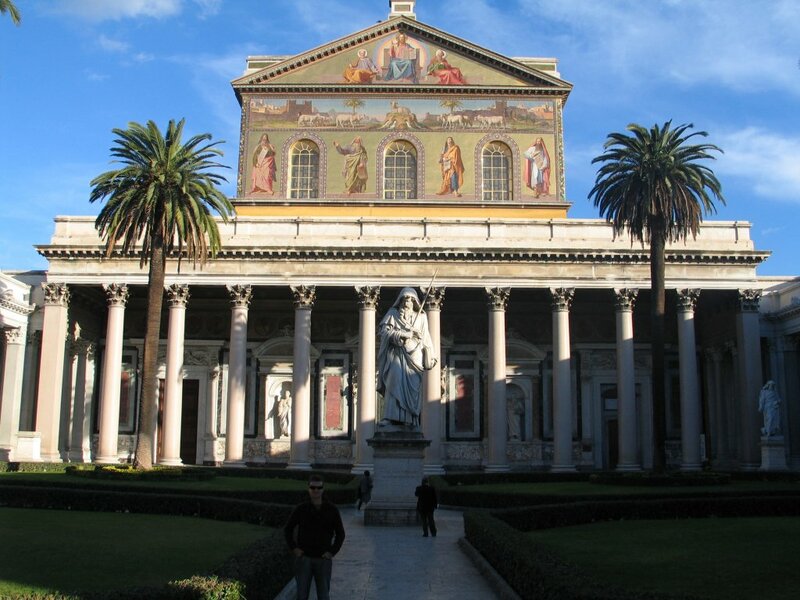 Then we headed to Basilica of Santa Maria Maggiore. Wednesday was a great day to go to the Vatican City, and check out the amazing Vatican Museum. Not only did we see the Pope!! But we didn’t have to line up at all! This place is huge, and is just so grand. I am by no means a religious person, but the museum has something about it that makes it great. 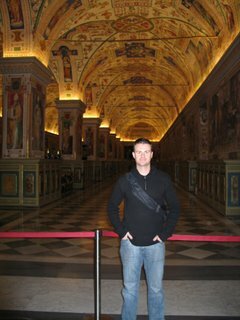 The art, the sense of history, and the Sistine Chapel are all amazing and just leave you in oar! I recommend it to anybody. 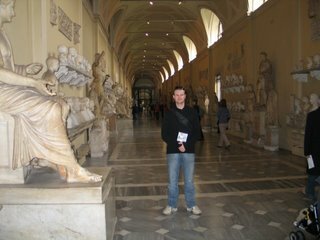 Another photo of me inside the museum. The ceiling is decorated like this through the entire six wings. 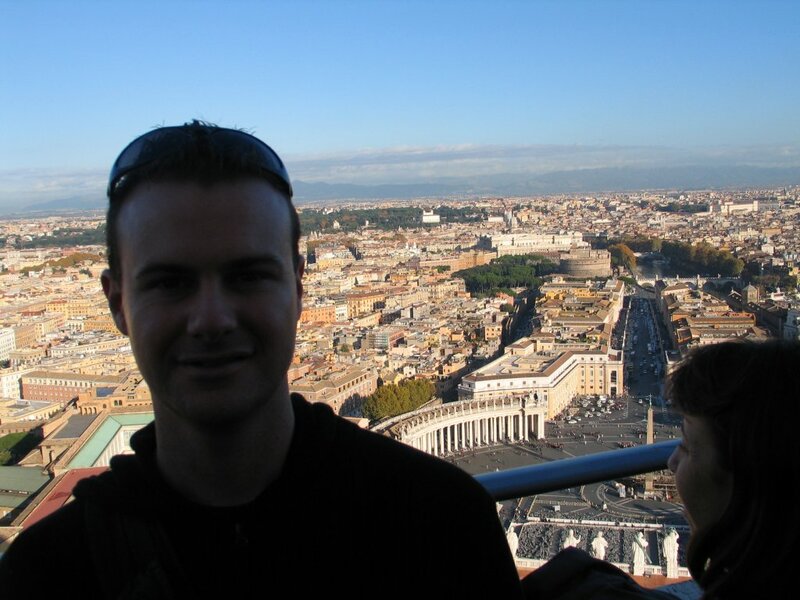 Then we decided to climb to the top of Michaelangelo’s Dome. What a view. 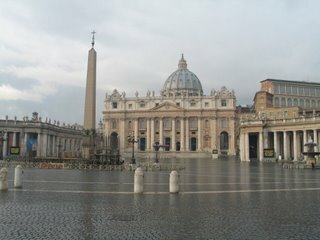 That’s St Peter’s Square in the background. After a few other stops, we then decided to take the mandatory photo from out the front of the building. 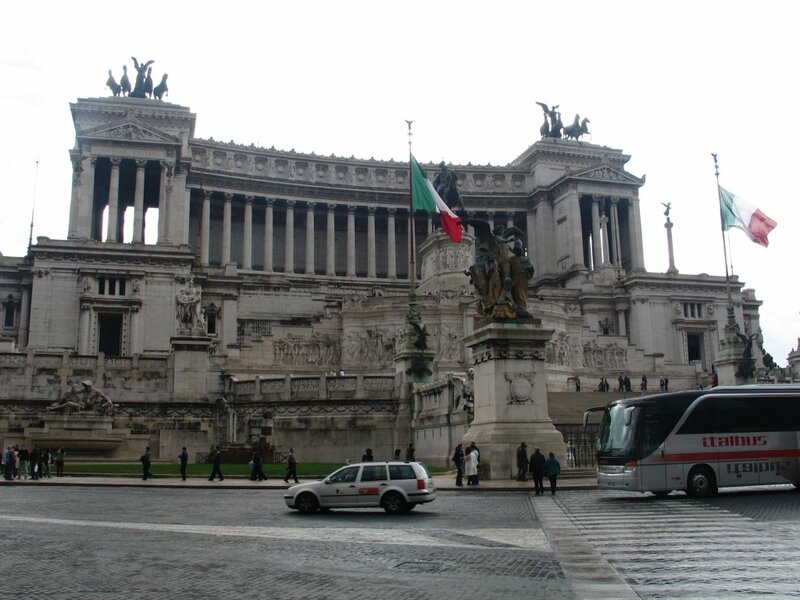 Rome is such an amazing city, and a few photos just can’t do it justice. So I have created a Google Photo Album with the best photos from the trip. You can find it here. 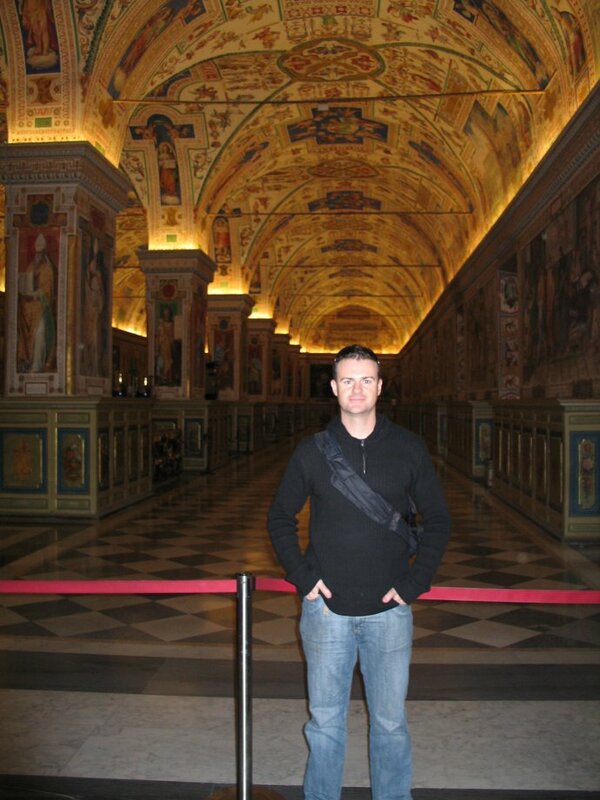 Tomorrow I will make a big effort to post the photos from Venice, Florence and Pisa. Until then, Keep well.